Where can I get a set of tires like that? 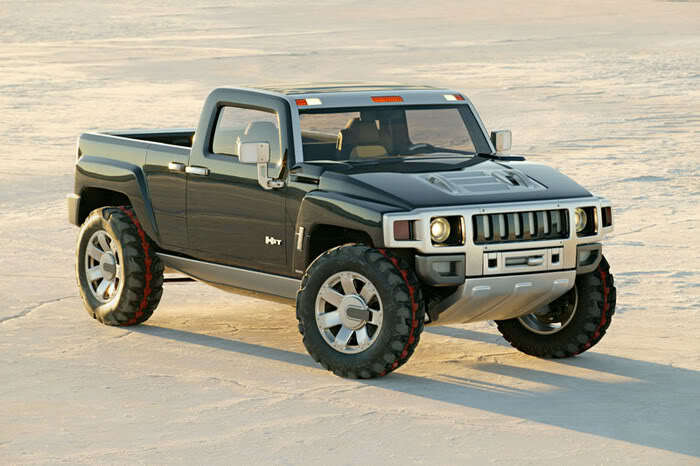 I like this Hummer 'H3T' concept also, and if the finalized version looks anything like and/or similar to it, then it might just becomean addition to my 'stable'. I thought it was supposed to be a Jeep (the real original Jeep) competitor. Small, ragtop? and all around great narrow terrain off roader. The pic looks like an H3 SUT. Now that I have some time on my hands, here's my guess for the H4/HX... I know it's not the best photoshop, but you get the point. Only thing I couldn't add was removeable windows for the rear side windows.